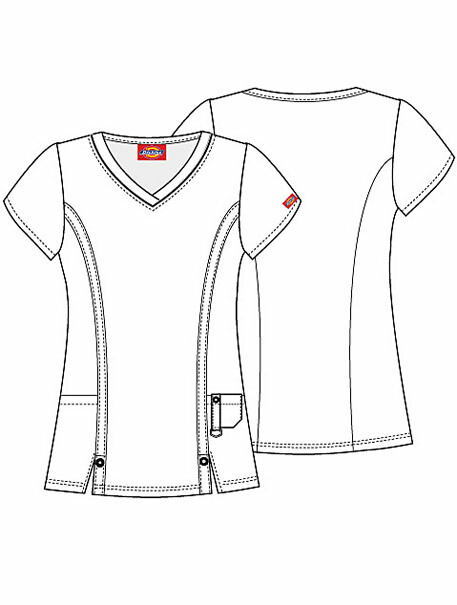 A Junior Fit V-neck top features decorative logo eyelets at front princess strapping just above the vents, front patch pockets, and a cell phone pocket includes a self tab with a utility "D" ring completed by a logo eyelets. Back princess seams for added shape. 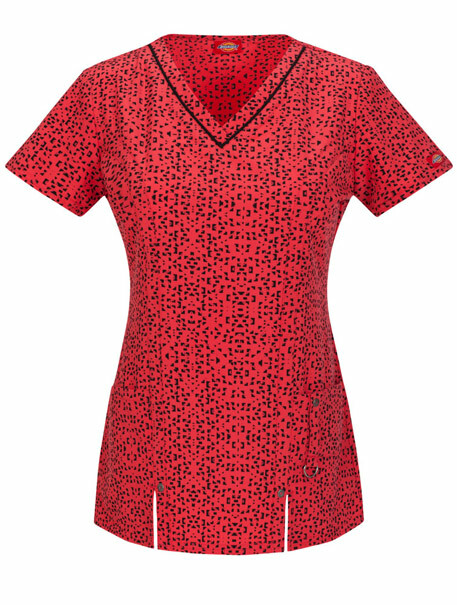 Center back length: 26"
Inseam Regular: 30", Petite: 28", Tall: 33"